There are some places in the world which are rumoured to be haunted but choose to sweep the ghost stories and paranormal activity under the proverbial rug, not wanting to scare away any potential tourists or big businesses with otherworldly mumbo jumbo. Other places, however, embrace their reputation as a paranormal hot spot, turning it into a major industry and welcoming thousands of amateur ghost hunters every year. The Isle of Wight certainly falls into the latter category. Describing itself as “the most haunted island in the world”, the Isle of Wight boasts countless legends and dozen of supposedly haunted locations. The island really is a mecca for paranormal fanatics. Here are 7 of the most haunted places on the Isle of Wight. 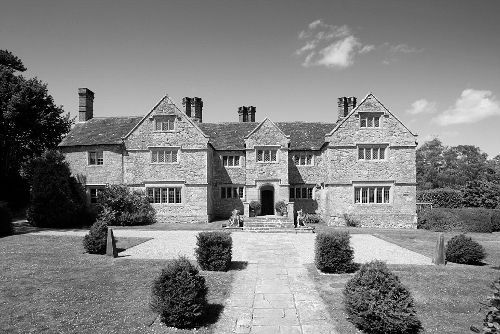 You might recognise Arreton Manor if you’re a fan of Most Haunted. The team carried out an investigation at the site a number of years ago and with good reason. 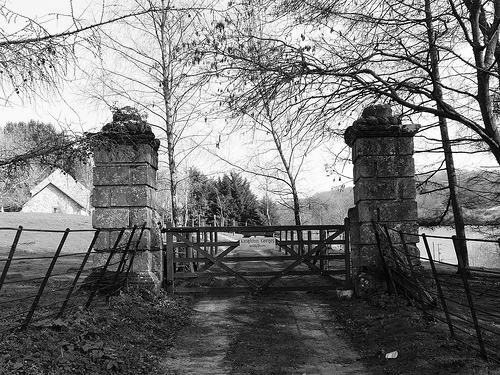 Arreton Manor is said to be home to a plethora of ghost, ghouls, and creatures of the underworld. The ninth century building is rumoured to be the eternal abode of a young girl by the name of Annabelle Leigh. According to legend, Leigh was murdered by her older brother after she witnessed him suffocate his father (he was a particularly nasty little boy). In order to protect himself, he murdered his younger sister by throwing her from the highest window of the manor. Today, Annabelle haunts Arreton Manor and is particularly active in the room from which she was thrown. She is often heard in the dead of night, sobbing inconsolably and calling for her mother. 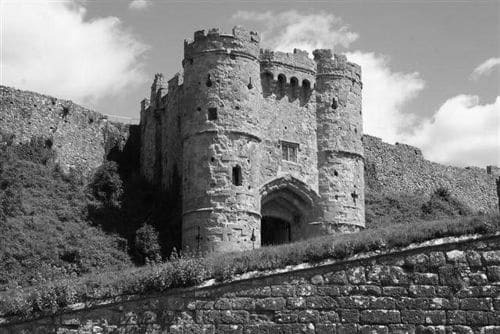 Carisbrooke Castle is the historical jewel of the Isle of Wight. The castle itself dates back to the Norman invasion, but it is believed the grounds were once the site of another fort during Roman occupation. The castle has hosted some familiar names over the centuries, including Charles I, who spent ten months imprisoned there prior to his execution at the conclusion of the Civil War. Charles attempted to escape the castle multiple times during his near year long residence, but he never got very far. In the afterlife, however, it seems that Charles I has finally managed to move on… I bet you didn’t see that coming. 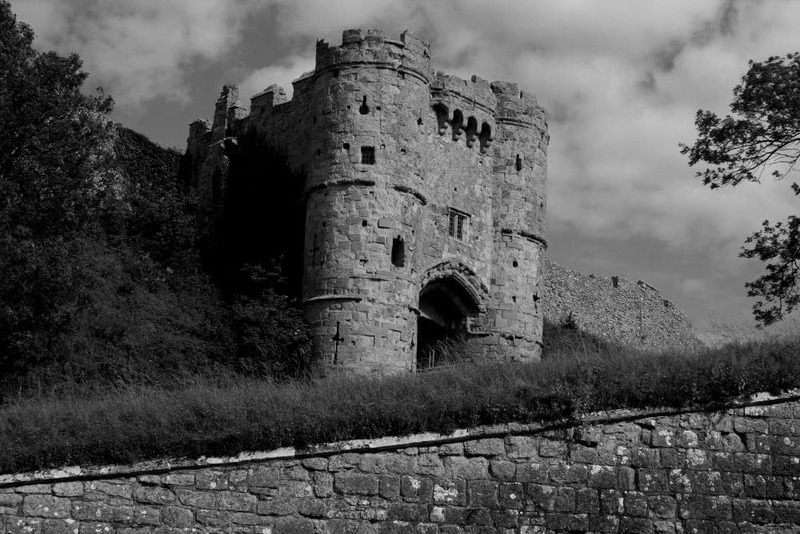 No, Charles I does not haunt the walls of Carisbrooke Castle, but that doesn’t not mean the site is without its fair share of otherworldly entities. 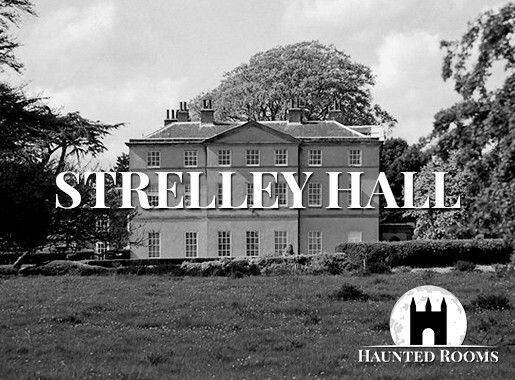 The ghostly figure of a grey lady is regularly seen strolling through the grounds, accompanied by a pack of dogs and a man, presumably her husband, decked out in a brown jerkin. The pair are believed to be former owners of the manor, returning to survey the grounds and ensure English Heritage has been kind to their beloved home. There is a well located on the castle grounds in which those who gaze into it for long enough are reported to witness the floating face of one Elizabeth Ruffin. The woman met a tragic end when she fell into the hole and nobody was around to hear her desperate cries for help. Her lungs filled with water and her lifeless body sunk to the depths of the well. Construction of Golden Hill Fort began in 1863 after the Royal Commission on the Defence of the Untied Kingdom decided it needed to take extra precautions to ensure the continued development of the Isle of Wight. 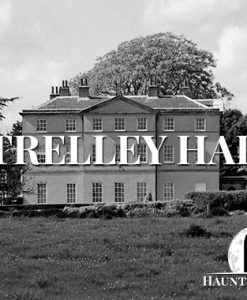 Today, after over 100 years in use, it is a Grade 1 listed building and was recently renovated into a series of luxury homes, though it is unclear why anybody would want to live there. While construction work is usually blamed for heightened paranormal activity, it is probably not the cause of the ghostly goings-on at Golden Hill Fort. 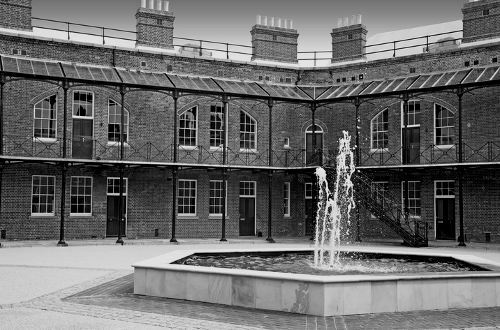 People have been reporting spirits in the building since its days as an army barracks, one of which is said to be the ghost of a sailor who was put to death after it was discovered he had been trading secrets to the enemy. The sailor is said to still roam the halls of Golden Hill Fort, perhaps in search of somebody who might be interested in hearing about the British army’s next World War One strategy. Visitors to Golden Hill Fort have also reported encounters with a man dressed in full army garb, looking as though he stepped right out of an episode of Blackadder. The spirit is believed to be that of a World War One sergeant major who died under mysterious circumstances. According to rumblings at the time, the man was so hated by his soldiers that they plotted his murder and managed to make it look like an accident. His mutinised ghost is generally blamed for the fort’s disembodied yells, mysterious smell of tobacco smoke, and doors which slam shut seemingly of their own accord. Ventnor Botanic Garden was founded in 1970 by noted horticulture nut Sir Harold Hiller, who then donated it to the Isle of Wight Council. 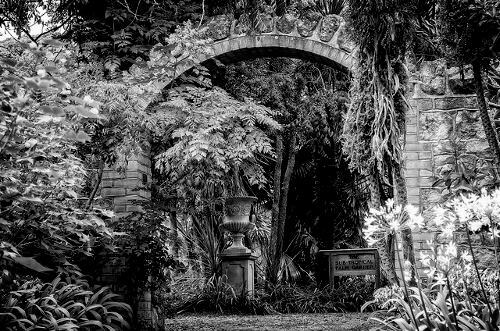 The garden is brimming with plants and trees from all over the world, organising by region some of the most breathtaking displays of the beauty of nature. It’s all quite lovely, but there is a little-known dark side to Ventnor Botanic Garden. The ground on which the garden rests was once home to The Royal National Hospital for Diseases of the Chest. The hospital opened its doors in the 19th century, when respiratory issues still had a high mortality rate. 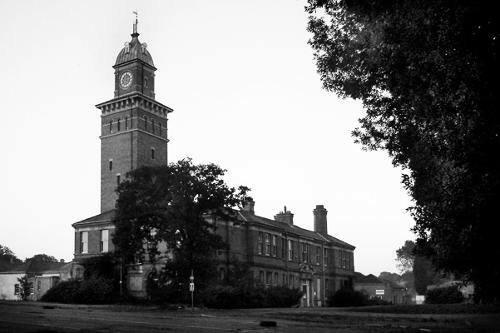 The hospital was shut down in 1964 and demolished five years later, but the ghosts of patients who met their ends there are said to still roam the grounds. Those visiting the Ventnor Botanic Garden for a nice day out are often shocked to see several gaunt men wandering around the garden, shivering and displaying the effects of tuberculosis, a disease which ran rampant throughout Great Britain in the 1800s. Unknown to the visitors, these are images from one hundred years prior, being played out again and again before their very eyes. The disembodied moans and groans of dying patients are often heard on the grounds, as are fits of coughing and crying. Strange smells are reported to pour from a nearby tunnel which was used to to remove medical waste from the hospital during its heyday. Whitecroft Hospital carries on the Isle of Wight’s strange tradition of turning purportedly haunted buildings in residential areas. Multiple attempts have been made to turn the building which was once Whitecroft Hospital into a collection of high-end apartments, but people don’t seem too crazy about the idea of living in a notorious insane asylum. Whitecroft Hospital closed its doors after a century in operation in the early 1990s but, much like Ventor Botantical Gardens, there are a few past patients who seem reluctant to move on. Contractors hired to prepare the building for eventual human occupation have reported multiple unexplainable events over the years. Virtually all of them have reported the unnerving feeling of being watched while a smaller, but still substantial number, claim to have encountered mysterious women in faded nurses uniforms. It is said that the spirit of a doctor regularly appears in one of the hospital car parks, taking a misty but unmistakably human form. The doctor has been seen strolling along, as if arriving for another day at work, and is sometimes observed to peer through one of the hospital’s ground floor windows. Knighton Gorges Manor was at one time the most spectacular building in all of the Isle of Wight. 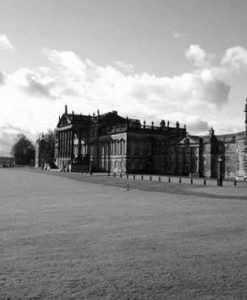 The sheer size of the home made it the perfect venue for the countless scandalous parties which were held in the manor over the centuries. Though the manor in its original form is no longer standing, it lives on as an integral part of both the confirmed history of the island and the constantly evolving local ghost stories. Perhaps the most famous ghost story relating to Knighton Gorges Manor concerns the spectre of the house itself. For decades now, those passing the area late at night have reported seeing the manor returned to its most glorious form, recognising it from paintings and vivid descriptions history books. It is said to appear as it did during one of its infamous celebrations, illuminated by thousands of candles and alive the sounds of laughter and music. 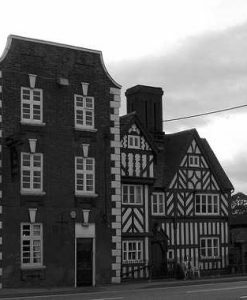 In 1721, Tristram Dillington, a member of parliament, is said to have taken his own life at the building after a particularly heavy gambling loss. In order to cover up the manner in which the MP died, his valet placed his lifeless body on a horse before driving it into a nearby lake. Every year, on the anniversary of his death, the departed Dillington can be seen riding on saturated horseback through the area. Appuldurcombe House traces its history all the way back to the 12th century, when a monastery was founded on the site, but the building which presently occupies the location was not constructed until 1702. In its heyday, the manor was one of the most famous spots on the Isle of Wight. It was a testament to just how far architecture had come and was the envy of all those who didn’t dwell within its walls. However, the building was all but destroyed by German bombers during the Second World War. Though repairs have been carried out since the 1940s, the building is a caricature of its former self. Remaining empty for much of the year, it seems to be good only for the ghost obsessed tourists it brings to the island every summer. 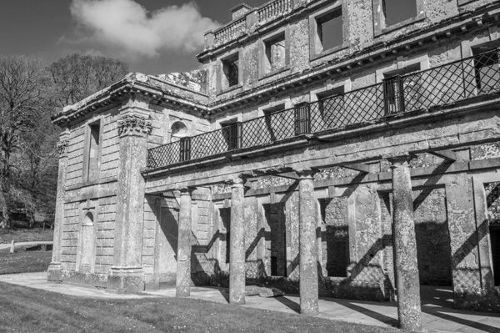 The ghosts of Appuldurcombe House are many and varied and can be found all throughout the building. In fact, there is even a ghost or two to be found on the road leading up to the home. Many travellers bound for Appuldurcombe House have reported being overtaken by a old fashioned carriage being pulled along the gravel by speeding horses. However, the carriage leaves no tracks and the horses leave no shoe prints. Once the witnesses arrive in the driveway of the house, the carriage, its horses, and its occupants are nowhere to be seen. 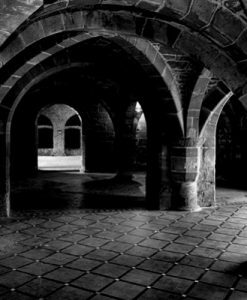 The cellar is said to be the most active room in the home and virtually everybody who has ventured inside it has substantiated the seemingly outlandish claims of the person who went before them. Shadow people – or rather, shadow dancers – are frequently spotted in the cellar, twirling across the wall, unaware of the time which has elapsed since the last ball at Appuldurcombe House.